Professional PowerPoint set to visualize operational and global contexts. Communication between and within companies on a global level is becoming increasingly important. More and more companies are orienting themselves towards the global market leaders, expanding their international partnerships and opening locations all over the world. Business are thus able to open up new markets and win over new target groups. 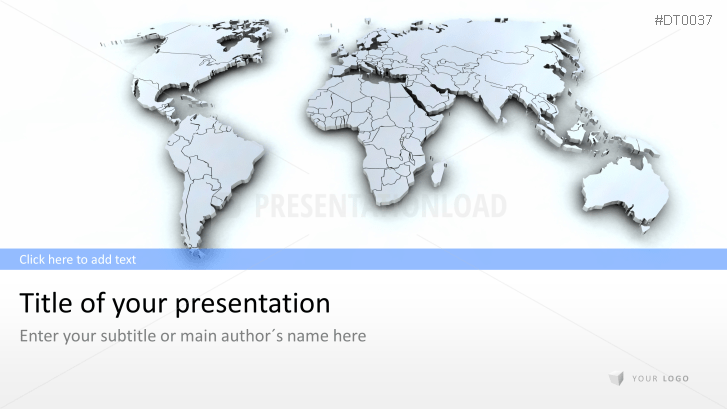 Our PowerPoint template with ready-made graphics of three-dimensional world maps enables you to create a professional presentation of your company and its global network. Use different charts and icons to present international company locations, production centers and business partners. You can also use our charts to assess global market analyses.